Win Free Tickets to Fall Festival! Happy first day of fall! 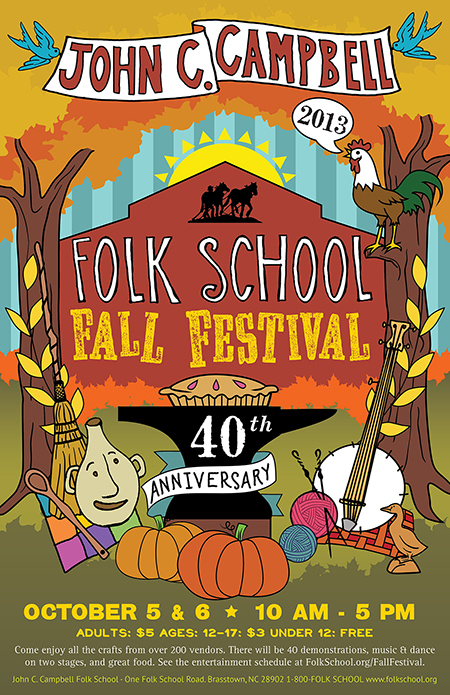 We want to remind you that our 38th annual Folk School Fall Festival is next weekend, October 1 & 2! And you have a chance to win free tickets! All you have to do to enter is have a look at our Fall Festival program and tell us what you’re most looking forward to seeing or doing at the festival. Just respond to this post by clicking “comments” at the end and you’ll be entered. We’ll randomly select two winners (who each get two tickets) and we’ll announce the winners through the blog on Monday. Your tickets will be reserved at the Craft Shop entrance gate. Good luck and we’ll see you at Fall Festival! 37 Years of Fall Festival Fun! Can’t wait to go to the fair! It’s a yearly ritual for our whole family. Wonderful food, music, artisans, and environment. A joy to behold. Would love to see it all. My husband and I are looking forward to the wood turning and carving. I am also interested in the spinning demos. Can’t wait to come!!! My husband and I love to attend this festival every fall . We enjoy all the wonderful handmade crafts , demonstrations , music and wonderful atmosphere at the festival. We would invite everyone young and old to come give it a try , it is a good time to be had by all! The countdown has begun. Each day I pull a link from my imaginary paper chain. This is the highlight of the Fall for me. I even scheduled my back surgery to allow recovery time for the trip to the festival. Can’t wait to see the glass beads, jewelry, glass art work, gourds , garden designs, wood carvings, oh…….everything. My husband heads for the food !!!! Hope I can dance to the music..maybe I’ll bring my walker to support my back !!!!! CANT WAIT !!! Excited to be visiting the school again and seeing all the crafts and demonstrations. Really looking forward to it! I too am looking forward to the festival. It looks like there will be lots of cool sights, sounds, and other folk art attractions. My family & I have attended and enjoyed many Fall Festivals in the past. 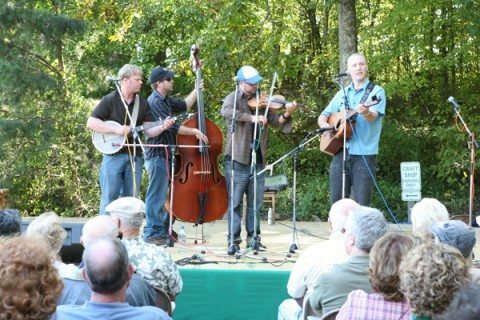 I’m especially looking forward to hearing great music, as well as seeing woodcarvings and other woodworking crafts. I’m also looking forward to a gorgeous fall day walking around at the Folk School! Look forward to perusing all the festivities taking place. 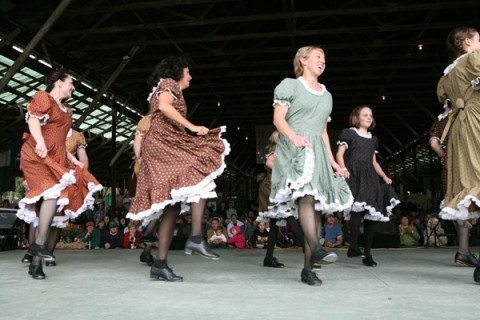 Especially want to see the cloggers and selecting some really unique crafts to bring home with me. Looking forward to my first Fall Festival . . . and ‘soaking up’ my first Folkshcool class the following week. So Excited! Especially eager to enjoy live music & interact with all the creative souls! I’m looking forward to seeing what new things my favorite artisans are doing with clay, fabric, metal and wood. I am looking forward to being surrounded by, immersed in, and of course adding to, the celebratory energy of the festival! We are excited about seeing all of the beautiful crafts and to learn as much as possible from the demostrations. Can’t wait! Last year was so much fun and I did all my Christmas shopping at the show. I have taken several classes at JCC but never had more fun than last January with my brother, niece and nephew! Saturday we will all be there again and I can’t wait to see all the crafts and enjoy the creative atmosphere that makes the school so unique! Seeing friends and the Clogging, Morris, Garland and Rapper Sword teams! Looking forward to the cloggers – including my granddaughter! can’t wait for craft demos and booths offering such neat original, made in usa stuff! Looking forward to seeing all the great crafts. Lovely art, crafted with love! I’m looking forward to not only seeing the beauty that is Murphy, NC but the Quilt Show that is going to be there this year at the festival. Being a quilter myself I’m looking forward to seeing others’ interpretation of the beauty of fabrics! Love the school grounds and how they become alive with people and their beautiful crafts. The music is awesome also. The craft show will be my first stop, and I hope to experience some cooler temperatures! Excited about the live demonstrations! Especially the blacksmith and the metal clay jewelry making. Handmade crafts for sale and the paper marbling demonstration and spending time with my aunt from out-of-town! Every visit we have made to the Folk School has been great, even without the Festival. Everything should be wonderful. I’m excited to see that there will be a quilt show. I also love seeing the crafts, being out in the fall air and good food and music. I look forward to everything: the music, dancing, demonstrations, crafts and seeing the staff again. 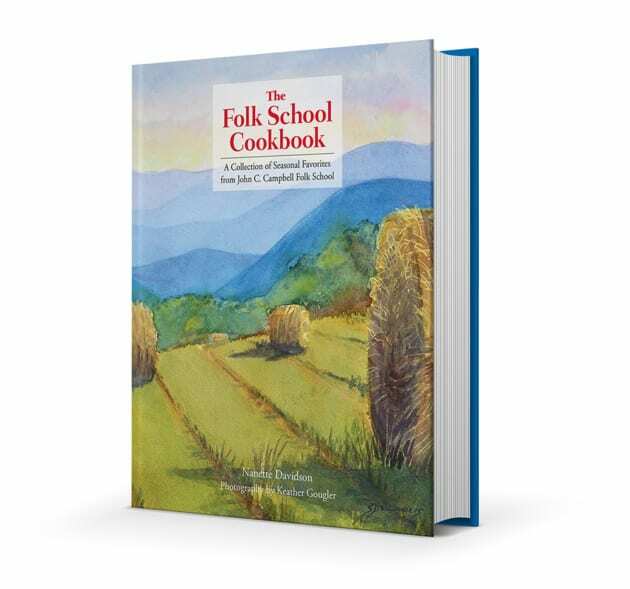 But most of all the experience of being on the beautiful campus of the Folk School. The energy there just renews me and awakens my own creativity. I am looking forward to everything! Our first time to attend! The fine crafts and hopefully some great weather. We are excited to finally be able to see The Blind Pig Gang on stage, as well as the handmade crafts for sale, among other things. We’ve not been able to attend in the past so we’re delighted to be able to go this year! 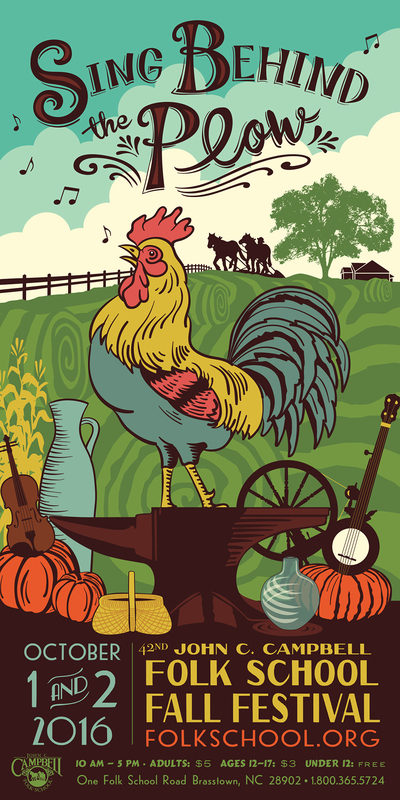 I can’t wait to visit the craft show – and experience fall in the mountains!